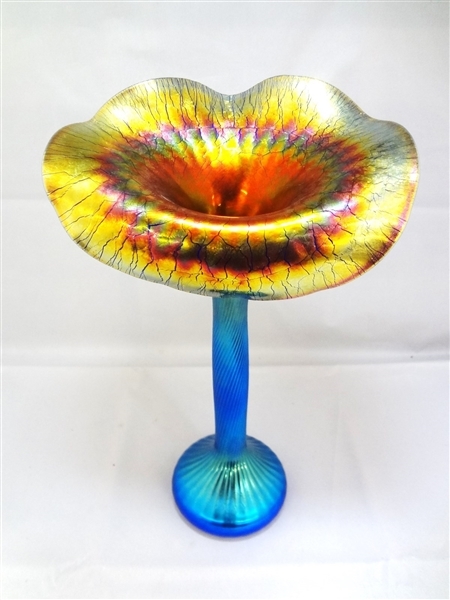 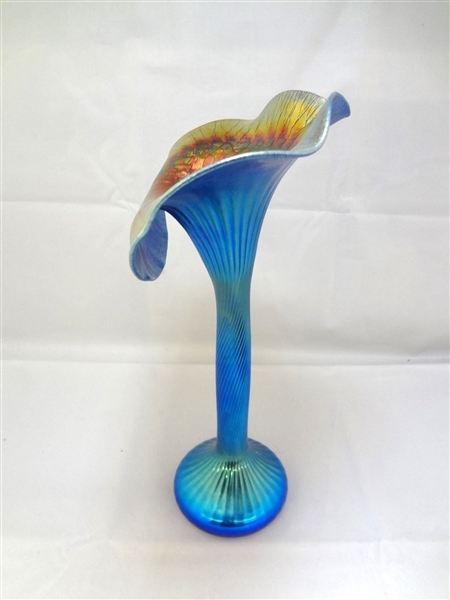 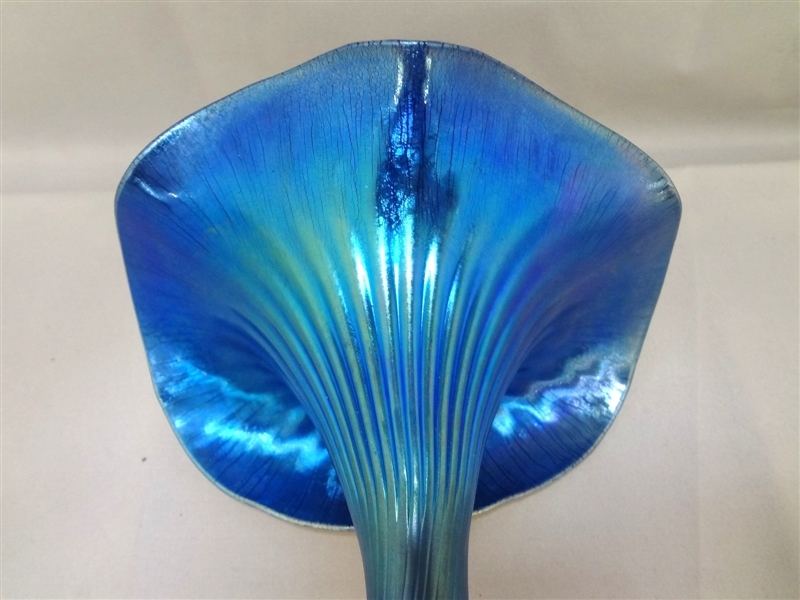 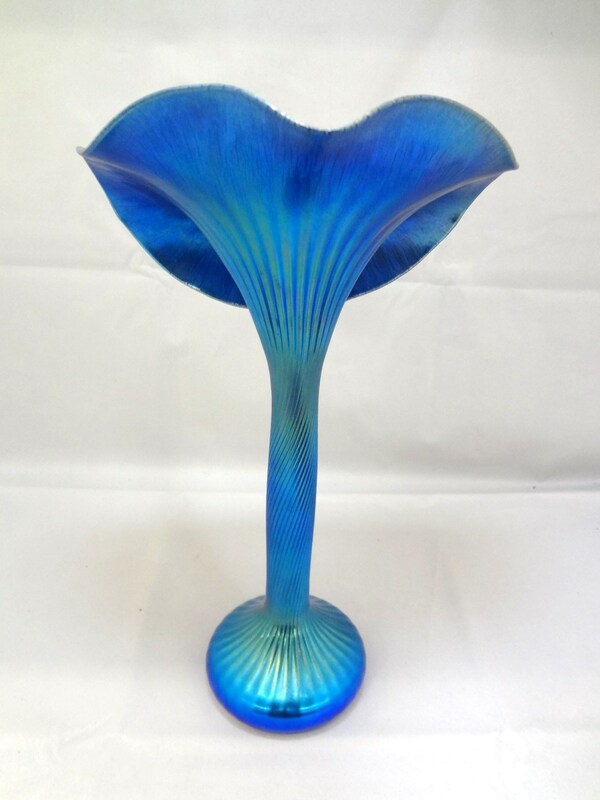 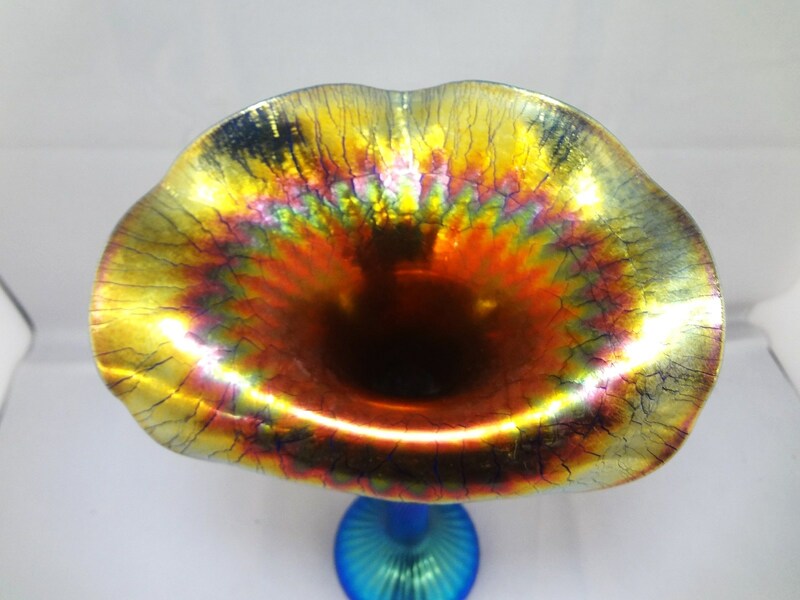 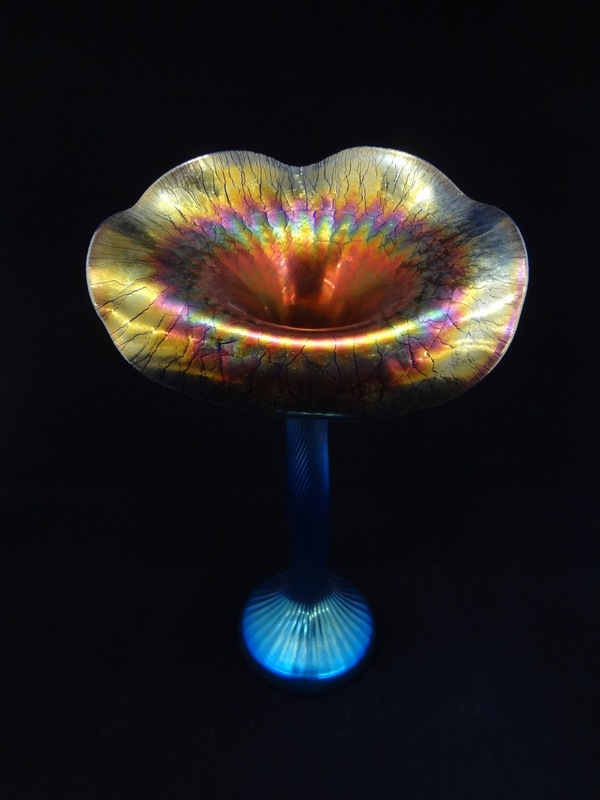 Lundberg Studios Jack in the Pulpit Contemporary Art Vase: Petite Blue Lustre measures 11.5" tall, 6.75" flared top. 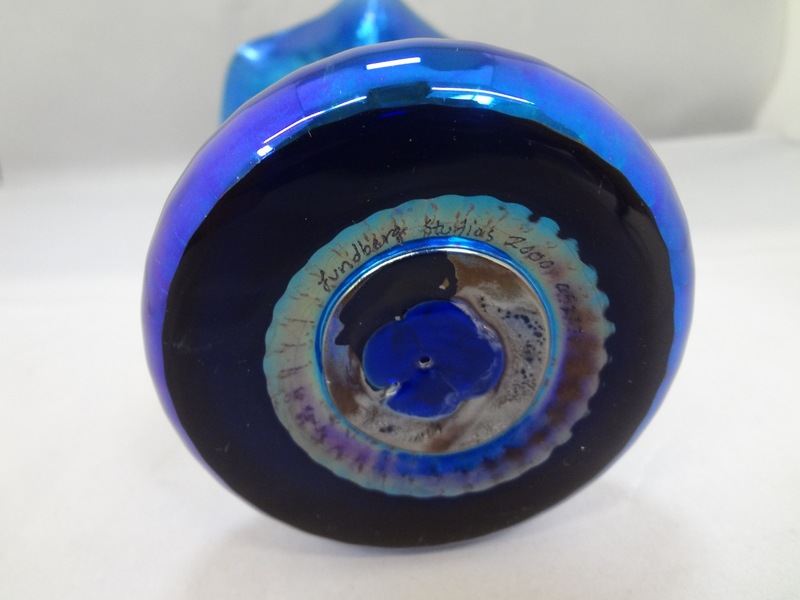 Base 3.75" diameter. 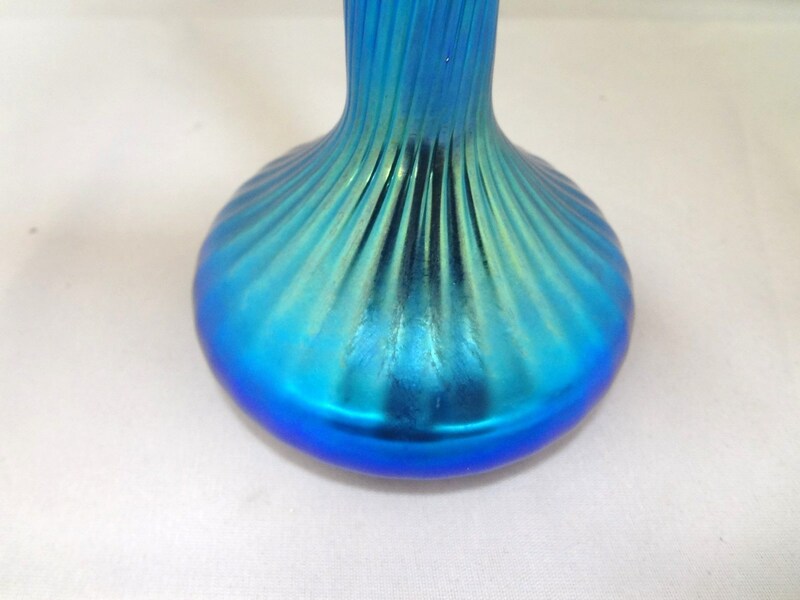 Stunning piece of glass. 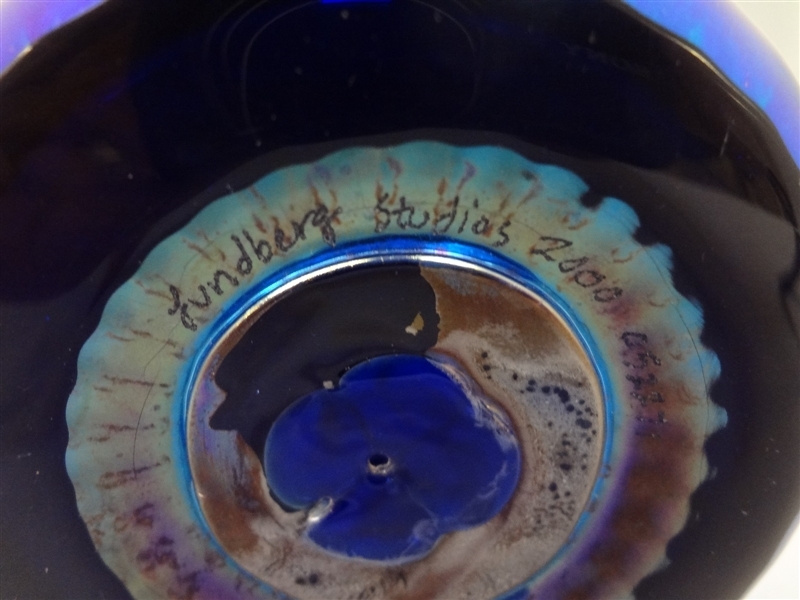 Etched signature on base.